There are several reasons to clean your carpets in Hoover, AL and that’s exactly what we want to share with you today! Your carpet is a very large investment, and the number one reason we all have our carpets cleaned is because we “see” the dirt. We want our carpet to last as many years as possible, but there is only one way to accomplish that, and that is to have your carpets professionally cleaned on a regular basis. We have listed a few facts for you to consider. When you actually “see” the dirt on your carpet you have already started to do damage to your carpet's fibers. Carpets act as a magnet for contaminates including dust mites, feces, pet dander, salt, road grime, dirt, and much more! Contaminants can be abrasive and wear down your carpet and permanently damage the fibers. Clean carpet creates a sanitary environment in which to live. The minimum amount of times your carpet should be professionally cleaned is once a year, however no one can say for sure what carpet cleaning schedule would work for your situation. There are a few things to consider when deciding what is right for your carpets. Some of those things would be your life style, how many people live in your home or are working in your business, number of pets, children, traffic flow, allergen concerns, and environmental changes. All of these factors are taken into consideration when looking at reasons to clean your carpet professionally. 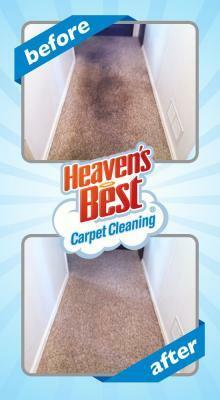 Give us a call today for more information and to setup your cleaning with Heaven’s Best Carpet Cleaners at 205-618-9150.